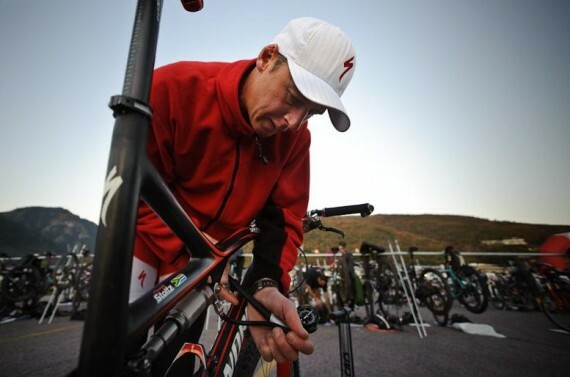 Check out Nils Nilsen’s XterraPhotos.com. 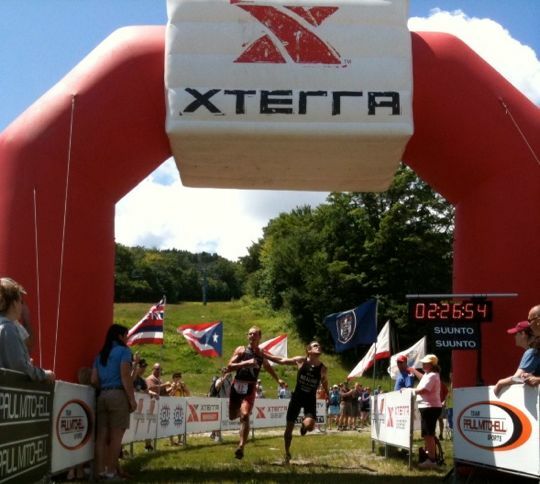 Sugarbush Resort – Warren, VT (July 12, 2009) – The two reigning XTERRA European Tour Champions, Frenchman Nicolas Lebrun and Swiss sensation Renata Bucher, won the inaugural XTERRA Northeast Cup on a muddy yet magnificent course at Sugarbush Resort in Warren, Vermont today. Winning smile & story time. During a week like this, so many things happen, its impossible to keep track of it all. I’ll try to give some perspective here. The race featured a crazy amount of climbing- 1200m on the 36k bike and 500m in the 10k run! The single track on the 2nd part of the bike was nice, but not that challenging really, especially with the 18 narrow gates on had to get off and push your bike through at the beginning and end of each single track. (To keep the dirt bikes out) That meant a lot of mount and dismounting and one couldnt carry speed in or out of the forest. There were some crazy parts at the very end, a steep little river one rides down. Nothing but rocks and water. (I think it was a single track once but then it rained. And it has been a little river ever since. 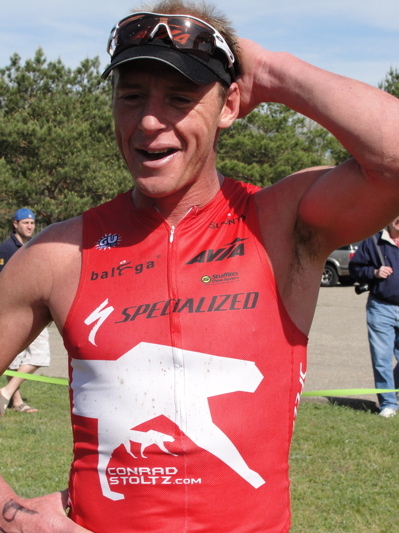 I came off the bike with about a 1 minute lead (dont have results just yet) over former World Champ Nico LeBrun. Nico is a formidable runner, and is widely known as a mountain goat. So I knew I had to pin it on the run. Felt pretty good on the 1st 1.5kthrough the flat, muddy trails. But then we crossed a river and scrambled up the far back with the help of ropes. And thats where the climbing started. We zigged and zagged up varied pitches and types of footing- but all uphill and more or less muddy. I held my lead and ascended well. But when I though we’re probably done climbing, we actually just started. Nico passed me in a 200m section of forest that was so steep and muddy, one had no choice but pull yourself up by the ropes. Of course the forest was beautifully green and lush, and after another excruciating nothing but rocks climb up a dirt bike trail, the trail flattened out and started going down. Nico was just a handful of seconds ahead and I thought I could swing this race around. After about 1k of going straight down, we made a U turn and of course went up another endless dirt bike climb, and that when I knew -this is Nico’s course- custom made form him. He won by about 50 seconds. What an amazing experience. XTERRA Wales is quite something and I’m really happy to have come. Amber and I have a day off before our next travel to XTERRA Czech next week, and we are visiting a Welsh castle. Visit again for some photos and real results.